Executive Coaching, Leadership Coaching and Leadership Development. Headquartered in Portland, OR. Regardless of whether someone is a seasoned executive or newly promoted to an executive role, Executive Coaching is a powerful resource for leadership development. Executive Coaching is about accelerating the success of individuals who are committed to maximizing their effectiveness as an executive and a leader. Our Executive Coaching, Leadership Coaching and Leadership Development Program focuses on Emotional Intelligence competencies and strategic thinking. Customized to each client, our executive coaching will improve leadership effectiveness and executive presence. It often includes an initial 360 ° Leadership Assessment and one-on-one coaching. It offers valuable outside perspective and can help an executive move past the blind spots holding them back from success. We’ll assess areas of strength and opportunities for growth, create a plan for improvement, and assess results – both subjectively and objectively. Self-Awareness and Management: These competencies include the ability to read one’s own emotions and appreciate their impact on actions, reactions, and decisions. It also affects a person’s flexibility, adaptability and attitude. Organizational Awareness: These competencies include the ability to read the attitudes, politics, and networks within an organization. Interpersonal Management: These competencies include effectively developing others, becoming influential, resolving conflict, and building and guiding teams. MBI’s Executive Coaching is a proven, systematic methodology to assess and enhance leadership abilities and effectiveness. We use a two-step process to ensure your goals are achieved. We use a comprehensive leadership 360° assessment which allows us to gain an objective perspective on a leader’s strengths and weaknesses. A Leadership Development Plan is created collaboratively with the Coach, Leader, and Manager to ensure alignment of goals and expected results. The coach then has one-on-one coaching sessions with the leader for the duration of the engagement. "I researched the industry to identify an executive coach with a perspective of improvement, not repairing. I found my coach and he is the real deal. In each executive coaching session we seem to raise the bar and accomplish more than expected. 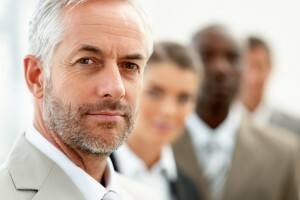 It is no surprise that you are a leader in the Executive Coaching arena. Thank you for assisting me in my quest to fulfill my purpose, see my vision and work my mission."